The Charlottesville media onslaught last week put me in mind of a visit my family made to the Chickamauga and Chattanooga Battlefields a couple of years ago. These two battlefields have been favorites of mine ever since my aunt took me there when I was 9 years old. After touring the parks, my son took a run through one of the National Park Service Gift shops. 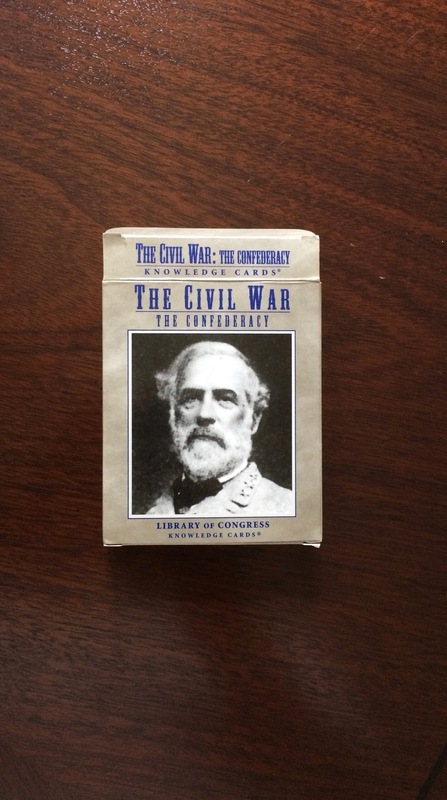 While he looked at the toy muskets, I bought a set of Confederate Knowledge Cards featuring Robert E. Lee on the front of the pack. The pack contains 48 cards with an image on one side and a set of facts on the other side. 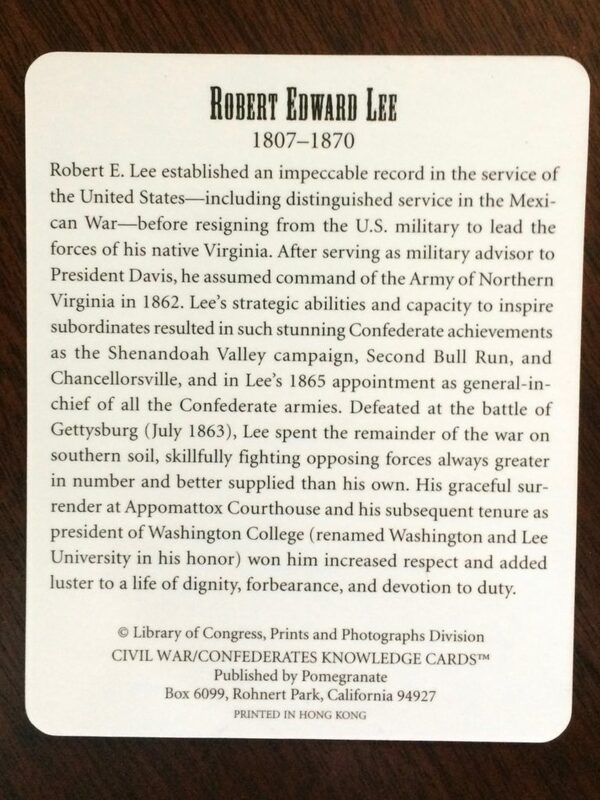 The facts and images come from the Library of Congress and demonstrate the kind of constrained civility that has quickly disappeared in America. I realize that facts have nothing to do with the current revisionist attacks on Confederate monuments. Facts will not be important when all of the ties to our history have been severed. I will hide my knowledge cards away until such time that facts matter again. Next Post Joel Poinsett: Is He Worthy Of A Protest?